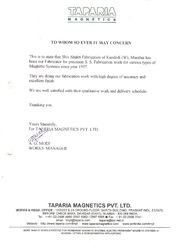 His fabrication and welding work has been exceptionally good. 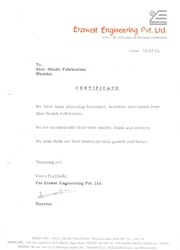 Our fabrication contractor since last 15 years. 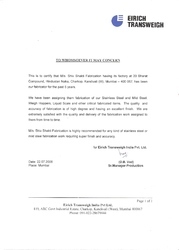 We have been procuring fabricated stainless steel items from Shiv-Shakti Fabrication. 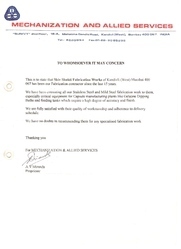 We have been assigning them fabrication of our SS and MS, Weigh hoppers, Liquid scale and other critical fabricated items. 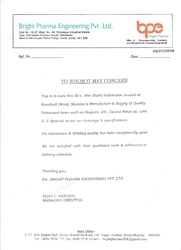 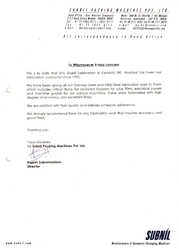 This is to state that Shiv Shakti Fabrication, Mumbai has been our fabrication contractor since 1990. 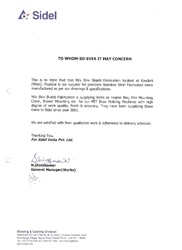 Supplier to Sidel since 2001.